Kyouya with such a bright smile! I loved it! Thank you for sharing this wonderful PIC of Kyouya...Kyaa! 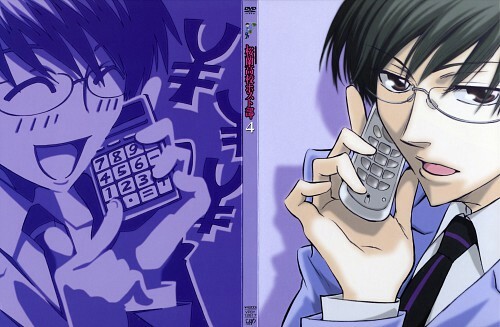 so cute and funny Kyouya! He's always the serious one. Hope you don't mind me using this for a vector? Thanks! OMG! I can SO picture him doing that in private, lol. I *LOVE* this scan! 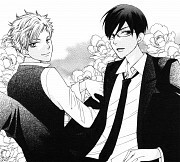 Kyouya's expression is too cute for words (especially since he would never smile like that in front of anyone). Gotta love this scan! It's too adorable and funny for words! I can't imagine Kyouya, for whatever reason and how much money he made, to smile like that....but you gotta love him....! thnx for sharing! That is a Kyouya that i recognise, that stare...oooohhhh! he is so hoooooooot! thnx again for sharing...! Kyouya is my favourite too! Quote by tina21I can't imagine Kyouya, for whatever reason and how much money he made, to smile like that....but you gotta love him....! thnx for sharing! But imagine how much money it really would take him to make him smile like that! So... Pretty! Sankyu for all of these amazing scans! this is the 1 familiar than the other 1.thanks.